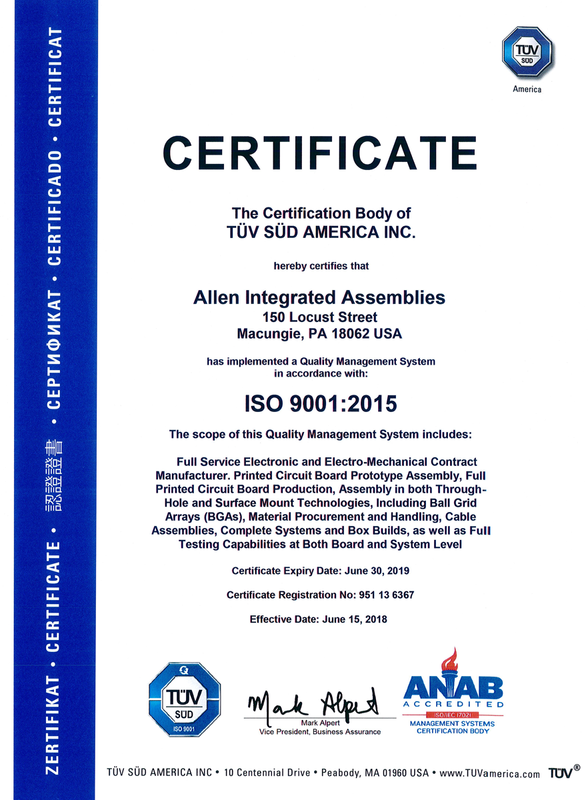 Allen Integrated Assemblies (AIA) maintains IPC (Interconnecting and Packaging Electronic Circuits) Class 2 & Class 3 workmanship standards throughout our processes. All our operators receive IPC training and re-certification every two years. AIA supports the basic aim of REACH (Registration, Evaluation, Authorization and Restriction of Chemicals Regulation, EC 1907/2006) in improving the protection of human health and environment through the better and earlier identification of intrinsic properties of chemical substances. AIA meets all applicable REACH requirements and is committed to provide our customers with information about substances in its products as required.